The perfect smoker for Food Trucks! Free lifetime technical support on all our SmokinTex smokers! 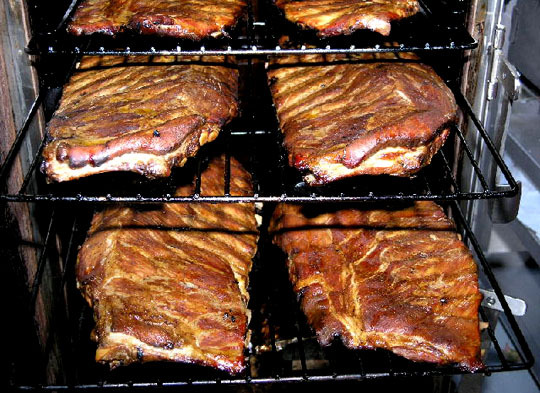 SmokinTex electric, bbq, stainless steel smoker ovens are used in some of the best restaurants and catering businesses in the country. Chefs know that when you prepare a meal with a SmokinTex smoker your guests will come back and order it again and again! Add smoked foods to your restaurant menu and add to your bottom line! Professionals can infuse smoke flavor into foods for 2-3 hours then finish off in traditional ovens or on the grill for more product output. Restaurants, Food Trucks, Catering, C-stores, Country Clubs, Corporate Kitchens, Concession Kitchens, Lodges, Fire Stations or however you want to use it. Our SmokinTex commercial smokers make a great warming oven! 90 lbs Beef Brisket in 16 hours. With 9 shelves the 1500-C will smoke/cook 36 racks of baby backs in 5 hours. Freeze or refrigerate and bring back on the grill in 10 minutes when you need to serve them. A lot of restaurants prepare and serve ribs this way. The smoker will smoke/cook 24 racks of St. Louis style ribs or 16 racks of spare ribs. 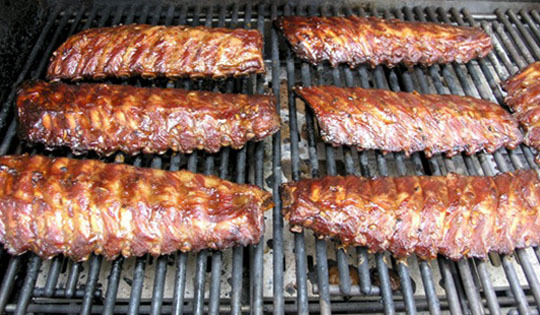 Many restaurant chefs will smoke/cook the ribs, refrigerate and bring back the ribs on a grill as they need them.